4k00:20AERIAL VIEW: Combine Harvester gathers the wheat at sunset. Harvesting grain field, crop season. Food industry concept. 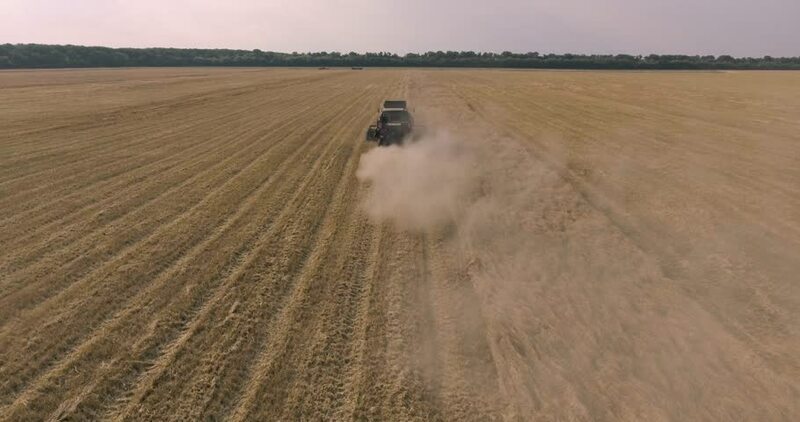 4k00:14Aerial view of modern combine harvesting wheat on the field. Flying directly above combine. Top view. Agriculture scene.